(Lusaka, October 25, 2017) – The Zambian government is failing to protect the rights of rural residents displaced by large commercial farms in Serenje district, Human Rights Watch said in a report released today. Some commercial farmers have acquired thousands of hectares of land while ignoring legal provisions meant to protect the environment and ensure local communities are compensated if their land is taken. Some commercial farms have forcibly evicted residents whose families have farmed the land for generations. The 101-page report, “Forced to Leave: Commercial Farming and Displacement in Zambia,” examines the impact of commercial farms on residents’ rights to health, housing, livelihood, food and water security, and education. It examines how women have been disproportionately affected and often excluded from negotiations with commercial farmers. Based on more than 130 interviews with rural residents affected by commercial farming, the report examines the human rights record of six commercial farms that exemplify much larger failures of rights protection and governance. It also draws on interviews with government officials, commercial farmers, advocates, and lawyers. The Zambian government is promoting large-scale agricultural investments to diversify the economy and reduce rural poverty. But it has been so negligent in enforcing laws on land acquisition and regulating these ventures that some rural communities have suffered severe harm, Human Rights Watch said. Many commercial farms operate on “farm blocks,” large swaths of land where the government has promised to build roads, irrigation, and other infrastructure to serve multiple farms. 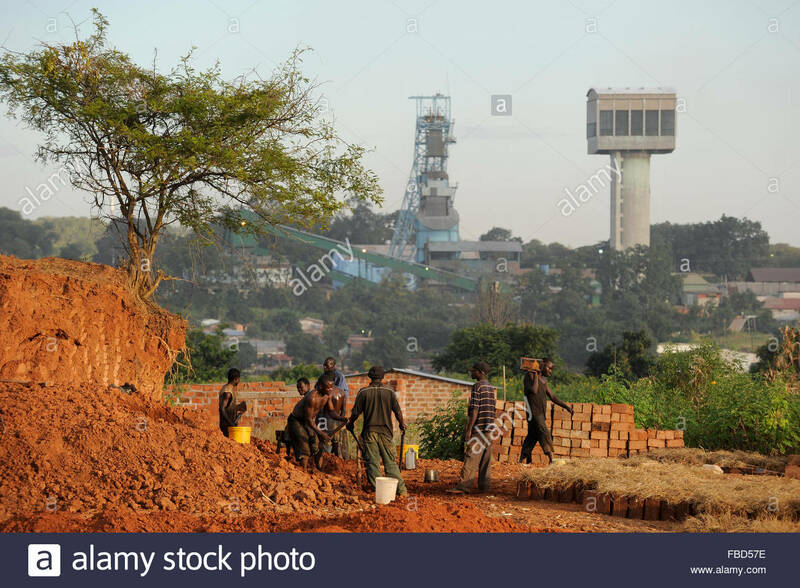 Laws and policies regulate how land can be converted from “customary” to “state” status, or otherwise acquired for farm blocks or other economic development projects. Customary lands are administered by traditional leaders and state lands are under government authority. Government officials say all farm block land in Serenje district was long ago converted from customary to state control. Some advocates and traditional authorities say the processes were so faulty that the conversions should be considered void. Commercial farms investing in Serenje district range in size from 150 hectares to more than 5,000 hectares of land. These ventures are headed up by a broad spectrum of investors, from corporations to family-run farms whose owners live on and work the land directly. Zambian law gives government officials and investors specific responsibilities over these investments. Commercial farms need to consult affected communities, provide appropriate compensation, adhere to resettlement standards, assess environmental impacts, and comply with relevant laws. Traditional leaders must also consult affected communities before agreeing to land transfers. Government officials should ensure that investment projects comply with the law. But rural residents in Serenje district told Human Rights Watch that the reality was nothing like that. Many said no one informed them about the new commercial farms nor made any effort to protect their rights. Some said farmers arriving to survey and measure the land was the first notification they had about commercial farms coming to their communities. Others had earlier warnings and, in some cases, a degree of consultation and compensation. Residents displaced by commercial farms said they lost access to food, water, shelter, and schools. Many families had to move to areas with poor quality soil and could no longer grow sufficient food. They were pushed further away from water sources, burdening women and girls in particular with spending far more time gathering water from distant streams. Many children had to drop out of school because their new homes were too far away and the new area did not have a school. The government of Zambia has exercised exceedingly poor oversight and enforcement of legal requirements over commercial farms. It has failed to enforce laws and regulations that require farms to assess and mitigate the social and environmental impacts of their operations, and is not monitoring whether commercial farming ventures are complying with the law. Dozens of residents forcibly evicted by one commercial farmer in 2013 have spent four years in tents or shoddy housing in a forest area where they have little access to water, and say they have been told not to cultivate crops. Government officials provided the tents and paltry food assistance in the first year, but have largely ignored this community since then. The residents said they are stuck in limbo, with fading hopes that the government will resettle them onto new land. Women in the displaced communities have suffered distinctive and disproportionate harmful impacts due to their social roles and status, and had the least opportunity to negotiate and assert their rights. Women described enormous struggles to sustain their families after losing safe water for drinking and household use, access to fertile land for cultivating food crops, and hunting or foraging grounds. Some complained about a lack of nutritious meals because they could no longer grow sufficient food. International standards establish that business enterprises, including commercial farms, have a responsibility to identify, prevent, mitigate, and remedy human rights abuses linked to their operations. The African Charter on Human and Peoples’ Rights protects the right to a healthy environment. International and regional human rights law also prohibits forced evictions, and recognizes the rights to food, water, education, and health. Zambia has ratified human rights treaties and adopted laws and policies that ought to protect rural residents and guide the process of resettlement and compensation. But commercial farmers in Serenje district told Human Rights Watch that they receive conflicting information from government authorities on their legal obligations toward residents, and government officials admitted that the situation in Serenje has been poorly handled. One commercial farm examined by Human Rights Watch took a different approach, relocating one family and deciding to implement a “livelihood improvement plan” for dozens of other families remaining on the land but impacted by the farm’s operations. It had a better record of consultations and efforts to remedy problems for residents. But even that farm would benefit from greater government oversight. Human Rights Watch called on the Zambian government to safeguard the rights of rural residents in commercial farming areas and rigorously enforce all relevant laws and policies, including on resettlement and compensation. It also called for government agencies to have adequate staffing, resources, and training to enforce laws and monitor the activities of commercial farms, and improve transparency. Human Rights Watch recommended that the government adopt a long-awaited customary land administration bill and update its national land policy.